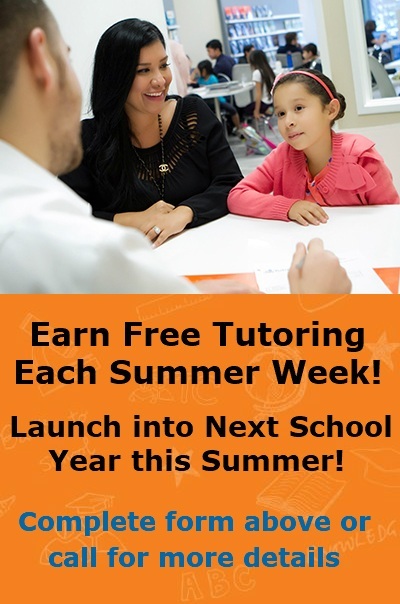 Since 2004, Tutoring Club of Hilliard/Upper Arlington has helped thousands of students in the Hilliard, Upper Arlington, Dublin, and Columbus areas pursue their educational goals and achieve academic success. Our location offers individualized instruction with tutors for almost every subject! We are conveniently located in Hilliard at the corner of Fishinger Boulevard and Trueman, in the same building as Staples. Our friendly tutors and positive atmosphere are the perfect choice for helping students thrive academically and gain self-confidence. Parents and students have quickly grown to appreciate Tutoring Club's warm, fun and nurturing environment, and they often commend us on our flexibility, customer-focus and results. Finish the year STRONG. Enjoy a Successful Spring by Starting Now! Confidence. Skills. Grades. Tutoring Club provides the setting and expertise to develop and retain reading, writing, and math skills. If your child is lacking the confidence or doesn’t like school, now is the time to start with our individualized programs. Our younger students gain skills and confidence quickly, with most students getting caught up or ahead before the school year passes by! For our middle school and high school students, ask us how our unique methods can help your student perform on tests, max out their GPA, and beat the ACT or SAT! In Hilliard, it can sometimes be difficult to find a good tutor that can help your child with their homework and prepare for tests in a constructive manner. At the Tutoring Club of Hilliard we pride ourselves on choosing and thoroughly vetting only the best tutors. These tutors are experienced and knowledgeable in their skill areas and can provide vital assistance to your student whether they are struggling with particular homework problems, needing a refresher before a test, or just wants to get more practice in before a final. If you have a student that is getting ready for college, we are no strangers to preparing soon-to-be freshmen with the knowledge that they need to succeed in the busy and challenging life of college with our College Prep Program. Hilliard Tutoring Club has skilled tutors, many of which have degrees or other experience in their areas. WHO COMES TO TUTORING CLUB OF HILLIARD/UPPER ARLINGTON? Students from schools all around the Hilliard/Upper Arlington area who are chasing dreams and looking for success in their educational pursuits. We help students from pre-K through 12th grades in virtually all subjects. When we hear that a child has moved up from C's to A's, or that reading has become a joy instead of a chore, or that a student is no longer receiving F's, or that a high school junior raised his ACT score 7 points after taking our individualized course, we are incredibly proud. Call us today and help us put your student on a path for a brighter future! or set up an appointment! My daughter pulled her middle-school grades up from Bs and Cs to straight As. She has such a positive attitude about school, is now on top of all her homework (as opposed to last year’s constant homework battles), and has improved in her academic skills tremendously. My daughter has gone from struggling in class to bringing home all As and Bs. It has completely transformed her from a shy student into an outgoing and confident learner. TC Foundations has one goal: To help young students become confident and enthusiastic learners. TC Math breaks down complex math concepts into manageable pieces. TC Reading aims to develop sound critical-thinking skills in students of all ages. TC Writing teaches students how to effectively communicate ideas through writing. Tutoring Club of Hilliard/Upper Arlington is proud to have Joe Scorziell as its current Director. Joe brings over 15 years of management experience to this position. He has a Bachelor's degree in Business from Ohio University. Joe transitioned into education from the retail world. He realized he could make a significant difference through mentoring students, and he takes pride in helping kids achieve their goals. Joe lives in Pickerington with his wife and three children. Want to know more about our center? that you would like to know.